Since 1987, Texas dentists have trusted McLerran & Associates with their practice transition needs. We are a full-service practice brokerage firm offering dental practice appraisal, practice sales, transition consulting, partnership structuring and associate placement services. Our focus is to evaluate the personal and professional goals of our doctors and then develop a customized transition strategy to meet their individual needs. 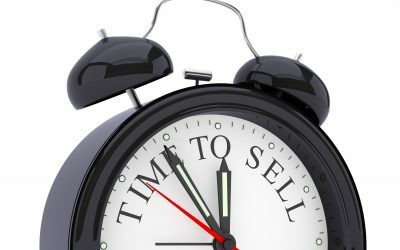 With more than 25 years of experience and over 1,000 successful practice transitions under our belt, we have the expertise to handle every aspect of your practice sale and ensure that you maximize the value of your practice while providing for a smooth transition of ownership for you, the buyer, your patients, and your staff. Determine the current fair market value of your practice by completing a thorough valuation. Develop a customized transition plan, maximize the value of your practice, and find a buyer who is an ideal fit for your office. If you have identified a buyer, we can help facilitate negotiations and walk both parties through the transition process. 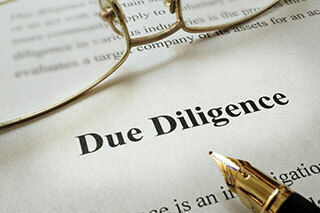 We can help you navigate the process of bringing on a partner and structuring your partnership agreement. Find an associate doctor who has the right experience, skill set, and practice philosophy for your office. Looking to start a practice or simply need to renew your existing lease? We can help with demographic, office space location, and lease negotiation services. 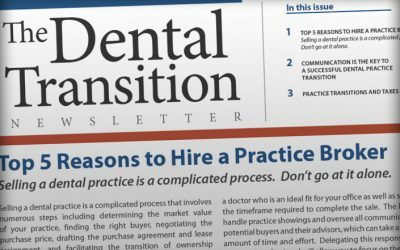 Please click to subscribe, to view and/or subscribe to our newsletter, which shares insightful information regarding dental practice transitions.